This bonsai has cinnamon bark that coat its gently curved trunk with short, flattened needles protruding from the end with elegance. During spring, several flowers will bloom and usher in dark red berries that will slowly deepen to black by fall. 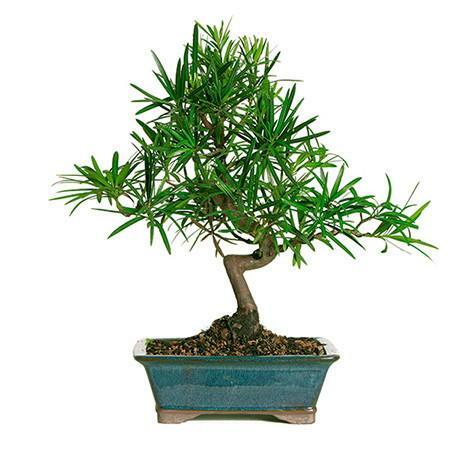 This Podocarpus will do best if provided with direct sunlight.